I'm sure I'll get some arguments here, but in my opinion Jaguar hit its pinnacle in sedan design with the XJ6. Few sedans have ever managed to look both as sporty and classy at the same time like XJ6 does. The original XJ6 was sold from 1968 until 1992. During that time Jaguar made changes to the body to accommodate US safety regulations, but the car remained a great looking car right up until the end. The XJ6 took styling cues from the Mark X, but it was far more up to date looking. It was the last sedan to be designed in part by Sir William Lyons, Jaguar's founder. The interior is as classy as the exterior. Tons of leather and wood, it also features a row of gauges and rocker switches in the center of the dash, a la the later E-Type. It still looks great today. 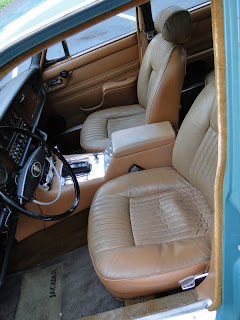 Jaguar had a less than stellar (read: terrible) reputation for reliability throughout the 1970s and 1980s. Many older XJ6s found their way to junkyards when their owners got tired of replacing expensive parts. Some were "modified", which often made them even less reliable than they originally were. Rust also took its toll on the XJ6. 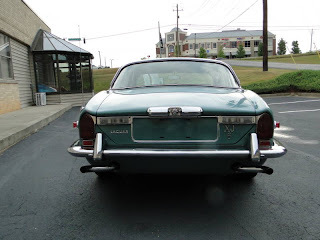 (By the time the Series 3 XJ6 was introduced, Jaguar had gotten a handle on build quality and reliability. After some problems again in the 1990s and early part of this decade, Jaguar is once again building very reliable, very well constructed cars, ones that often rank near the top of the J.D. Powers surveys.) For a car that sold relatively well, very few are around today. 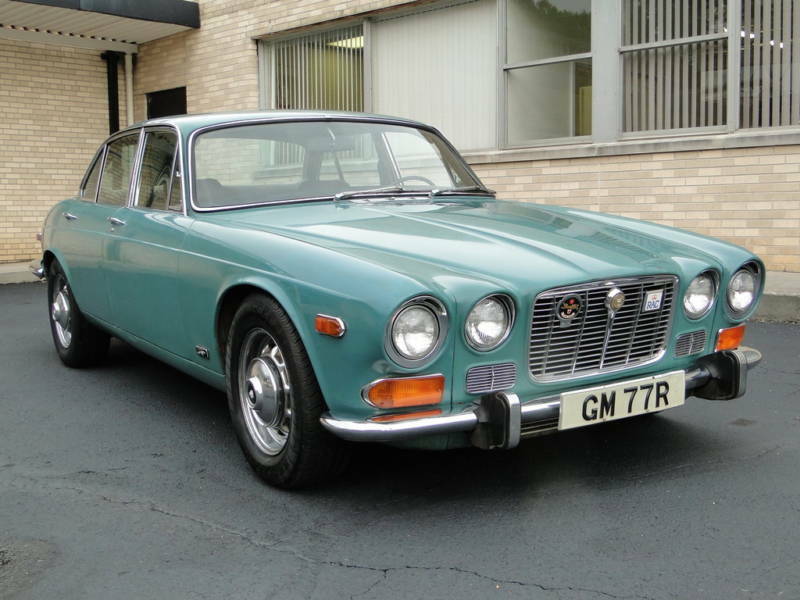 This XJ6 is an amazing original car. It's a Series 1, the original XJ6. It has not been restored - it hasn't even been repainted - but looks as good as many of the restored cars you see at shows. It has just 67,000 miles on it. According to the seller, it has had the same owner of the past 35 years. The color might not have been my choice if I had ordered one new, but somehow, now, it doesn't look bad. It's the right color for a 1973 car. XJ6s don't sell for big money. It will be interesting to see what one in this condition is bid up to. It's great to see a car like this in this condition. 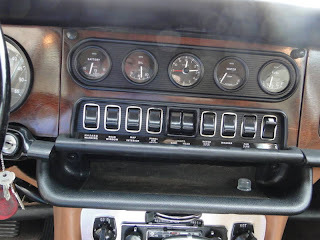 I am interested in what the 1973 jaguar XJ6 sold for on eBay. It is no longer posted. I am interested because my 88 year old father has a four-door sedan and I am trying to sell it for him. The car is in very good condition. He is the second owner and it has been garaged since he purchased it in 1978. How do I go about selling this vehicle? He also owns a 1949 Lincoln Cosmopolitan Coupe that is also in excellent condition and still runs. Any help you can provide me would be greatly appreciated. Thank you very much.